The Aldon Long Reach Wall Scraper is ideal for scraping hopper car and tank car interiors, as well as storage bin interiors. 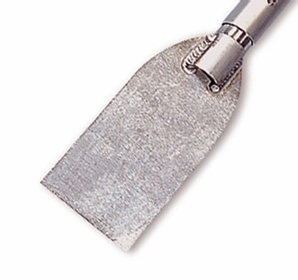 The heat-treated aluminum scraper paddle is five inches wide with a chisel edge. Six-foot long aluminum pole extensions snap together to give the worker a long reach into a tank or bin. A 24-foot long pole/paddle assembly weighs only 10 pounds.